Just like to say hello been on here a while just didn't know what to put. A little shy I guess lol. I've been looking at the Chilli Club and didn't see any R60s in the mix. So here's my little baby had her a year now. Still standard but got lots planed for her. If anyone has any pointers would really appreciate it. Yea definitely the best looking colour by far. Is there a Countryman owners club room do you know ? 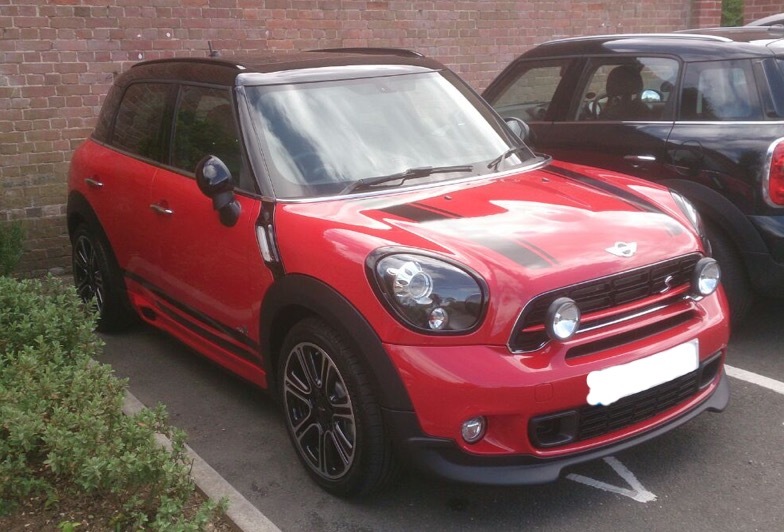 Thank you for the welcome Lee, you'r clubman looks very nice too. Yea I know of Gary's car as my girlfriend works at the cooper garage he uses. Also see it in Modern Mini Mag and it looks amazing. Thank you very much I'll hold you to that offer. As I'm guessing that wing mod took some time. Yea it looks well worth it. Did you have to modify the wing ? Did you do the mods on the bracket or did orranje do them for you ? I'm guessing that's a orranje wing. Oh and did you drive down ruxley lane the other day ? On that not then definitely be asking for a favour or two when I get one of them wings as it looks great. May I ask how much it cost roughly all in all ? The car looks great by the way and it sounded amazing to.